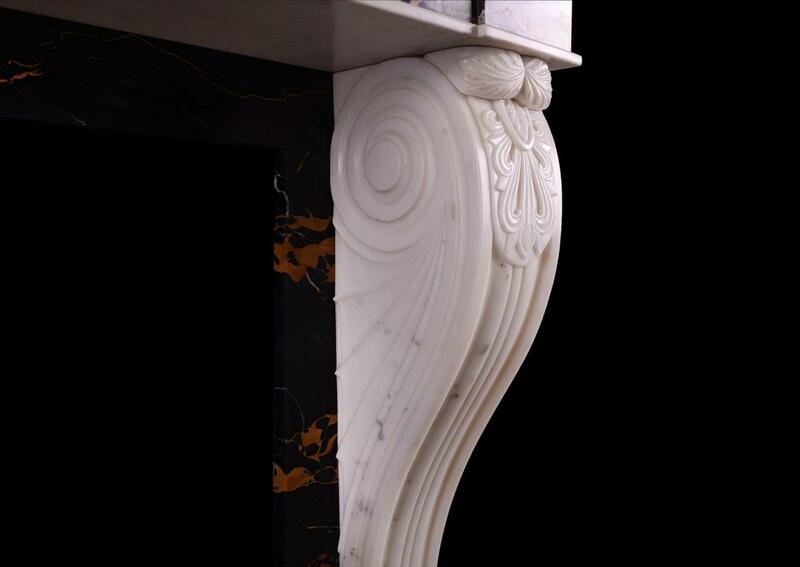 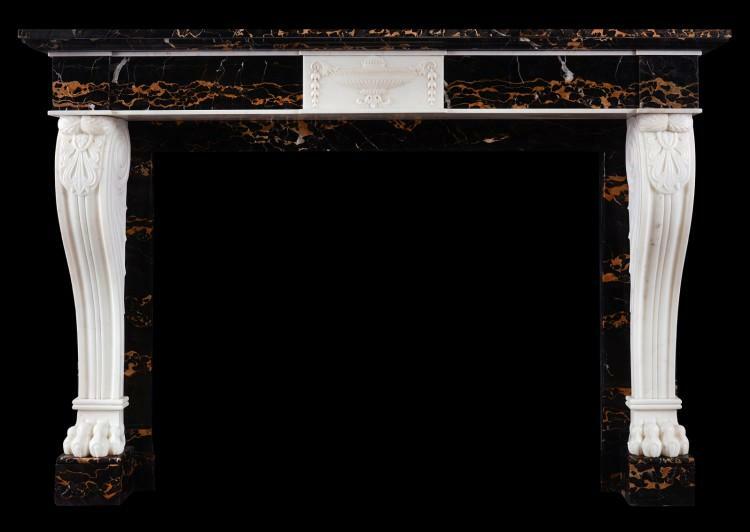 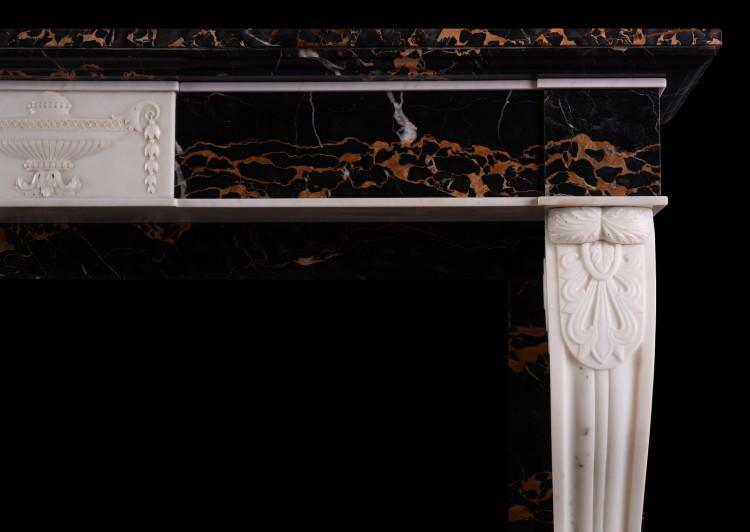 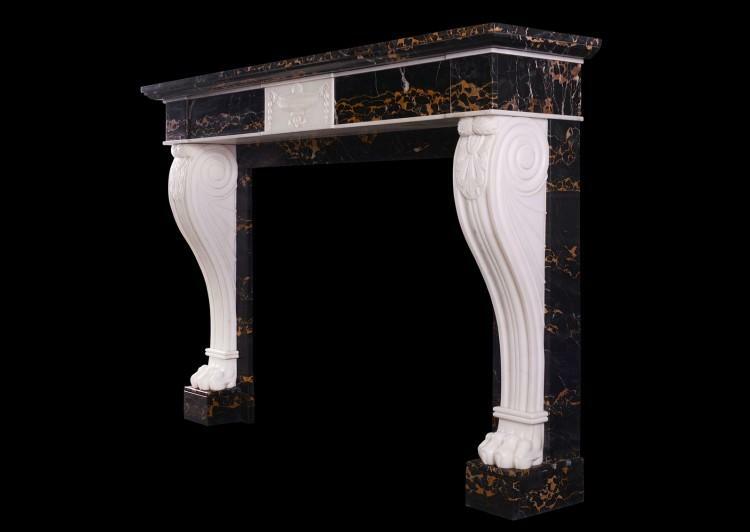 A high quality Italian Portoro and Statuary antique marble fireplace. 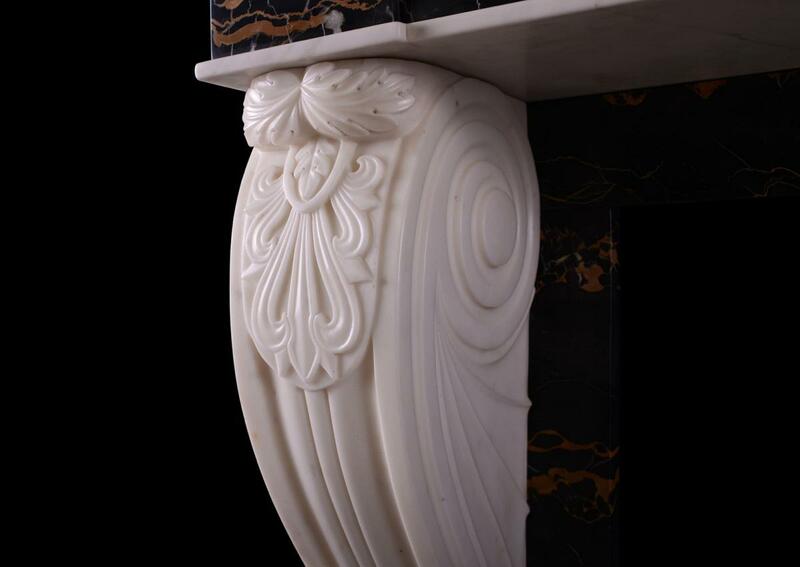 The finely carved shaped fluted jambs with claw feet, scrollwork and foliage. The Portoro frieze with carved urn centre with guilloche and bellflower detailing. 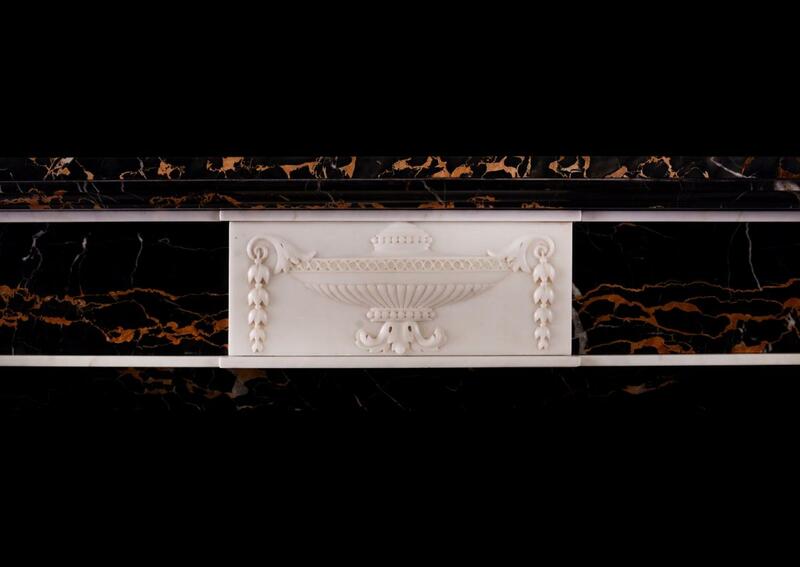 Portoro moulded shelf above. 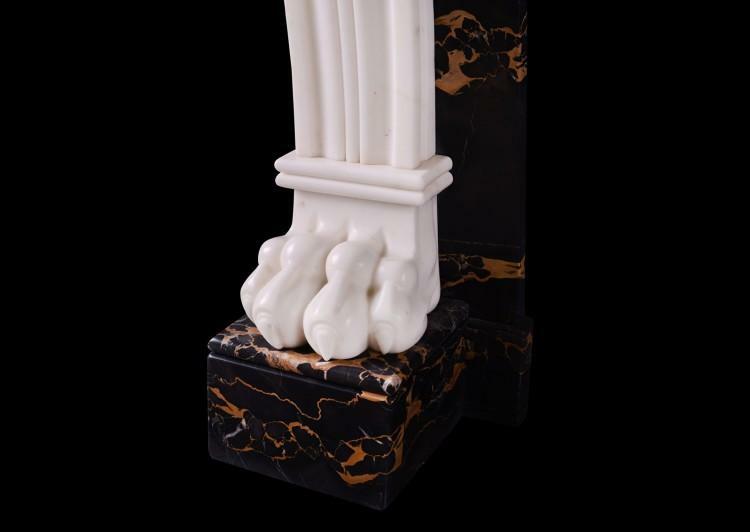 Italian, circa 1820.